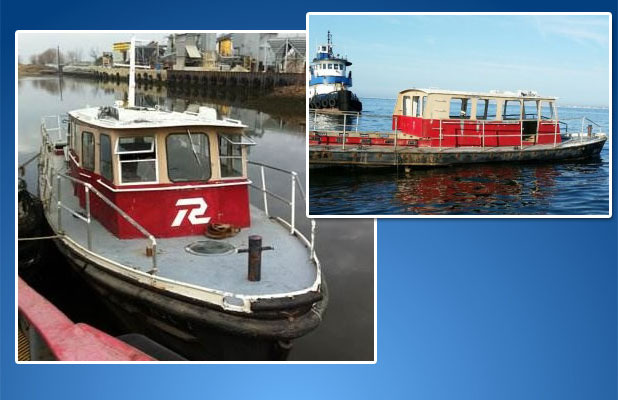 The development of New Jersey’s artificial reef program continued this week with the sinking of a 65-foot crew boat that once cruised New York Harbor. The boat, NY Harbor Charlie, was sunk Tuesday in the area of the Axel Carlson Reef, which is located about two miles off Bay Head and Mantoloking. “The vessel will continue to serve the fishing industry for at least another 70 years,” the state said in an announcement on the program, which has resumed after a dispute between commercial and recreational anglers resulted in a loss of federal funding. The sinking of NY Harbor Charlie is one of 10 vessels the state hopes to add to its reef network by the end of the fall. Two ships were deployed earlier this summer and Tuesday’s was the third. The U.S. Fish and Wildlife Service is providing $119,250 to the artificial reef program because the DEP was able to reach a compromise that allows commercial interests to have continued access to portions of two reefs in state waters and calls for the construction of a new reef for recreational fishing, also in state waters. State waters extend three miles from the shoreline. Previously, federal officials had suspended the funding due to concerns that commercial fishing was intruding on and hampering recreational fishing on artificial reefs in state waters, which are funded by excise taxes on recreational fishing gear and motor boat fuel. The compromise was reached in 2013, and codified in rule changes that were adopted by the DEP in November 2015. Under the new rule, commercial fishing operations are permitted to continue using portions of two existing reefs in state waters – the Sandy Hook and Axel Carlson reefs. Recreational anglers will continue to have access to all portions of these reefs. Artificial reefs are extremely popular with anglers and divers, contributing to the state’s economy through the creation of tourism opportunities and jobs, officials say. New Jersey’s commercial fishing industry ranks 7th in the nation in retail sales, and supports $327 million in salaries and wages and nearly 13,000 jobs. Recreational saltwater fishing brings in more than $640 million in retail sales and is directly responsible for nearly 10,000 jobs and more than $242 million in tax revenues, including $165 million in state and local taxes.